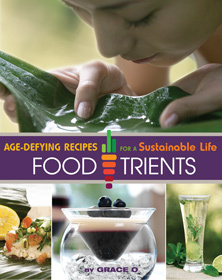 No matter what your book club is reading, you can add a lot of flavor to the discussion with these tasty dishes from FoodTrients: Age-Defying Recipes for a Sustainable Life. We’ve put together a menufor you that we hope will be a bestseller – Spinach and Grapefruit Salad, Green Tea Noodles with Edamame, and Pear and Apple Tart. 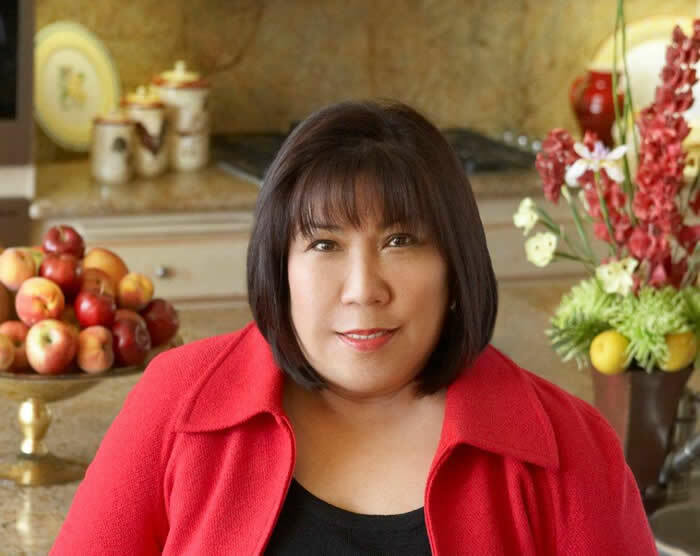 Some of therecipes serve two, so you may need to multiply servings by the number of guests attending your book club meeting. add fiber. 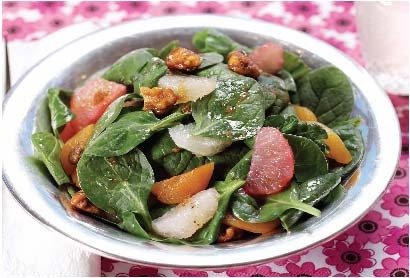 The candied walnuts and dried apricots balance the acidity of the grapefruit and increase the antioxidants in this dish. 1. Wash and stem the spinach leaves and place in a bowl. 2. Add the grapefruit, walnuts, and apricots. 3. Toss with Tangy Ginger Dressing to taste. 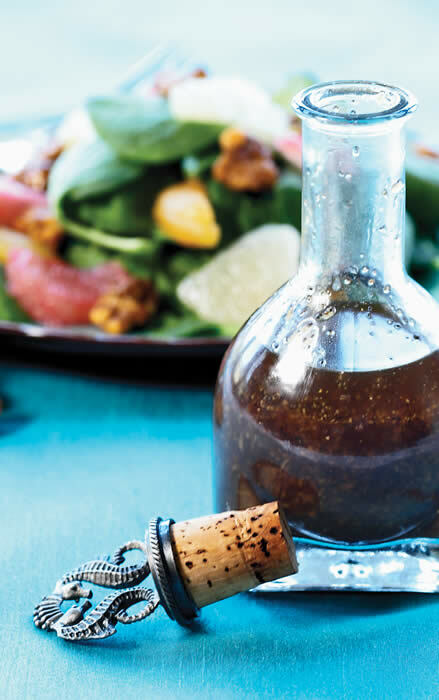 Ginger gives this dressing its flavor as well as amazing anti-inflammatory benefits and pain-reducing effects. It also relaxes muscles, increases circulation, and aids digestion. Buy the whole gingerroot, then peel or cut off about an inch of the rough skin. Grate only as much ginger as you need, and put the root back into the refrigerator, ready to be peeled and grated for the next dish. Grace uses this dressing with her Green Tea Noodles with Edamame and over her Spinach and Grapefruit Salad. It works well with any mixed green salad.